This picture book biography introduces a 14th century traveler and a very different view of the world. Can you imagine going somewhere without a map? Never mind something that tells you exactly where to turn on your mobile device. 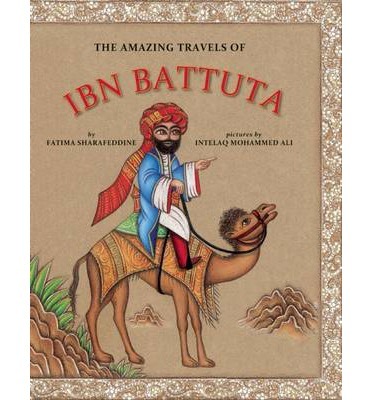 Ibn Battuta didn’t have a travel website to go on when he departed, he had to rely on his wits and what other travellers told him. This Moroccan adventurer started off from Tangier and made new friends in countries like Iraq, Egypt, and India. He even made it all the way to China. He was a resourceful man who used many different modes of transportation, from camel riding to ships on the ocean. The reason why Ibn Battuta’s name is still known so many centuries later is that he wrote down his impressions on seeing all these places and meeting so many people. Writing things down and sharing them with people not only entertained and enlightened his readers but also guaranteed his place in history. This is a great book to be tied into a journal-writing activity for early elementary students, or to tie into geography lessons. This review is for Nonfiction Monday. Pop by the Nonfiction Monday page and check out other great reviews of children’s nonfiction. Provided by the published for review. All opinions are my own. On February 14, the winners of the annual Cybils awards for children’s literature were announced. I was lucky enough to be on the nonfiction panel and we chose Look Up! as the best nonfiction book of 2013. Look Up! isn’t just a title, it’s an invitation to a whole new avian world. 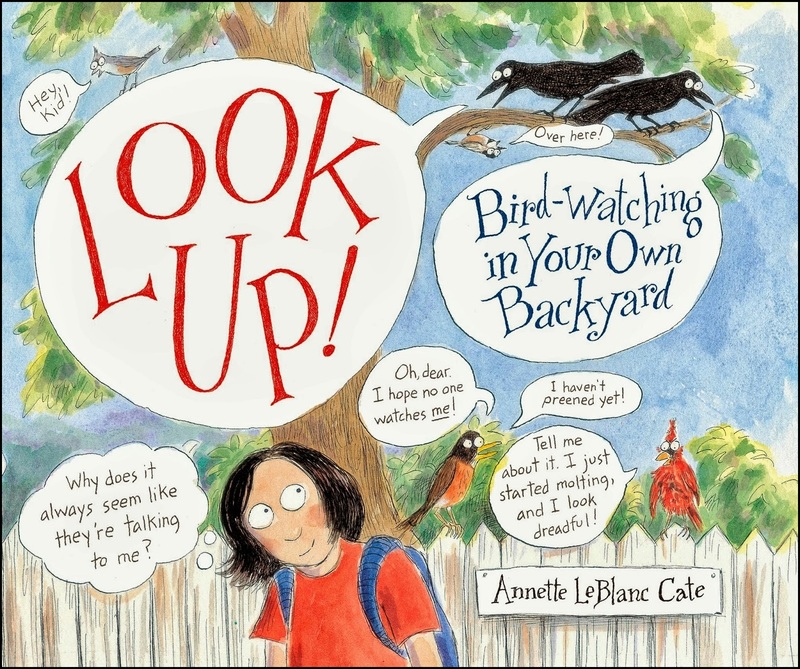 Annette Cate gives a plethora of information about birds, how to find them, and what to look for, as well as sketching tips useful to the burgeoning bird watcher. The detailed information provided by Cate is only improved by the engaging narrator, who adds flair and humour. Look Up! A Guide to Bird-Watching in Your Own Backyard is sure to convert plenty of new bird-watchers. It is Cate’s unbridled passion which really makes this book.